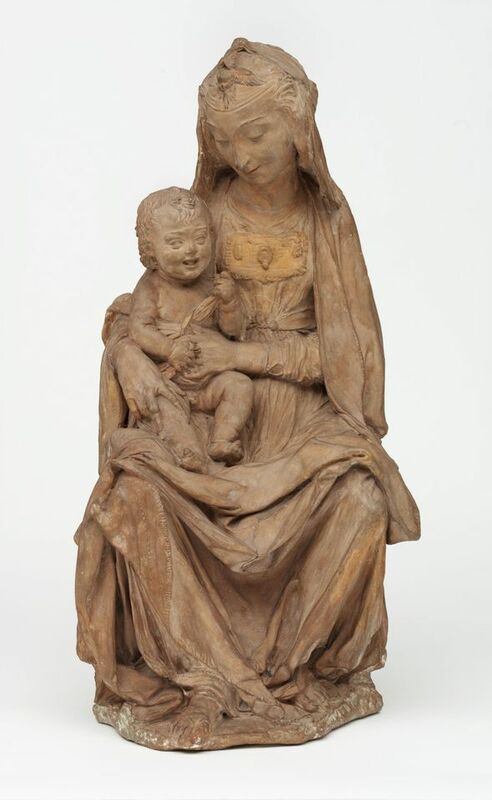 A terracotta statuette due to go on show in Florence next month has been attributed to Leonardo da Vinci, making the work the only existing sculpture by the 16th-century master. The Virgin with the Laughing Child, which belongs to the Victoria and Albert Museum in London (V&A), has been attributed to Leonardo by Francesco Caglioti, an art history professor at the University Federico II of Naples. The newly attributed work is due to go on show in the first retrospective dedicated to Leonardo’s mentor, the Florentine Renaissance artist Andrea del Verrocchio (1435-88) which opens at the Palazzo Strozzi next month (Verrochio, Master of Leonardo, 9 March-14 July). The exhibition, co-curated by Caglioti and Andrea De Marchi, will travel to the National Gallery of Art in Washington DC (29 September-2 February 2020); a V&A spokeswoman confirmed that the Virgin statuette will not tour however. In an interview in the Italian newspaper La Repubblica, Caglioti says that “there are a thousand details, which dispel any doubts regarding the [new] attribution”. He draws comparisons between the features of St. Anne in Leonardo’s 1503 painting The Virgin and Child with Saint Anne and the Virgin depicted in the sculpture, saying that the smiles on both faces are similar. Caglioti also says that Leonardo’s technique of depicting drapery is a key factor. “Look at the robes of the Madonna and the red mantle of the Archangel in The Annunciation by Leonardo (1472-75). The movement of the fabric is the same.” Asked if V&A curators have accepted his findings, he says that he “has no idea but I really hope they do”. The work is attributed online by the V&A museum to the artist Antonio Rossellino and dated around 1465. A spokeswoman for the V&A says that the early history of this sculpture is unknown, and over the years it has been variously attributed to Rossellino, Leonardo, Verrocchio, and Desiderio da Settignano, none of which has met with universal acceptance. “A potential attribution to Leonardo da Vinci was first proposed in 1899, so Professor Caglioti’s study opens up the discussion of its authorship afresh. The V&A welcomes ongoing discussion with colleagues worldwide: research into our collections is continuous,” she says. The work has not left the V&A since its acquisition in 1858.